1. Marvelous Media Room. 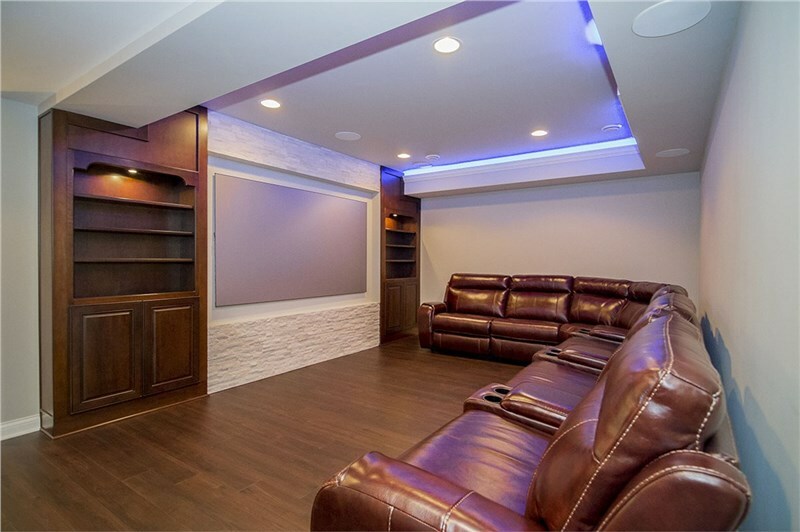 One of the most popular plans for a finished basement is an entertainment area. 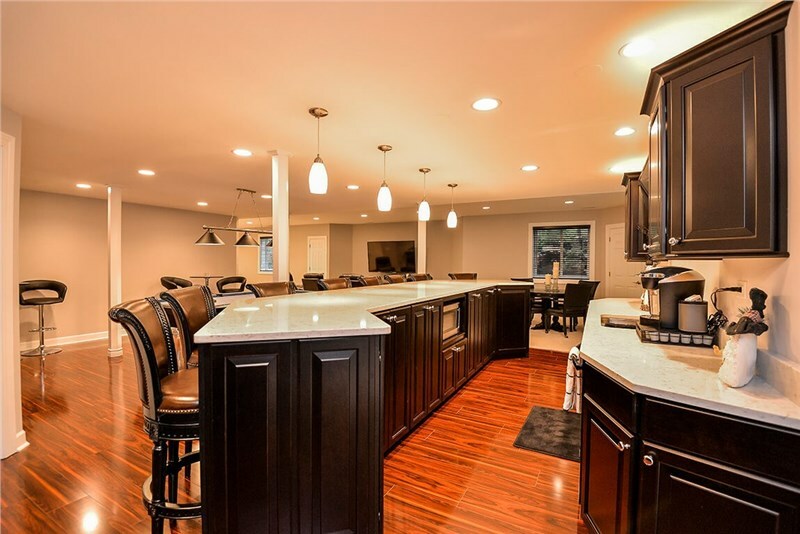 When creating this area, don't just toss a TV, surround sound system, and Playstation in there and call it quits--yes, the electronics are important, but creating an all-around awesome space is equally important. This project should result in a media room that showcases your personality and makes your guests say "WOW!" when they enter. Shelves are great for holding your extensive Blu-ray collection, but they are also a great spot to add little touches that add to the room's fun factor--pose some LEGO characters in a scene from your favorite movie (think Darth Vader and Luke Skywalker in an epic light saber battle) or highlight your Godfather collection between two horse head bookends (that one is sure to spark a conversation!). Make cozy seating more exciting by adding throw pillows featuring characters and images from your favorite films, video games, or comic books. Line a shelf or table with large glass jars of movie theater favorites such as Twizzlers, M&Ms, and gummy bears. Pay tribute to your favorite Hollywood icons by adorning the walls with large black and white photographs on canvas. Add nostalgia with artwork featuring vintage comic book covers. Last but not least, choose one bright color that really pops and place it in various spots around the room--a bright orange pillow, area rug, or armchair. 2. Sensational Sports Bar. There's just something about the atmosphere in a sports bar--the game always seems more exciting from a bar stool than it does from your couch. Maybe it's because the best sports bars are simply oozing nostalgia--incredible memorabilia plastering every wall, nook, and cranny. Jerseys, photographs, and equipment that spark lively conversations and heated debates about some of the most exciting moments in sports history. 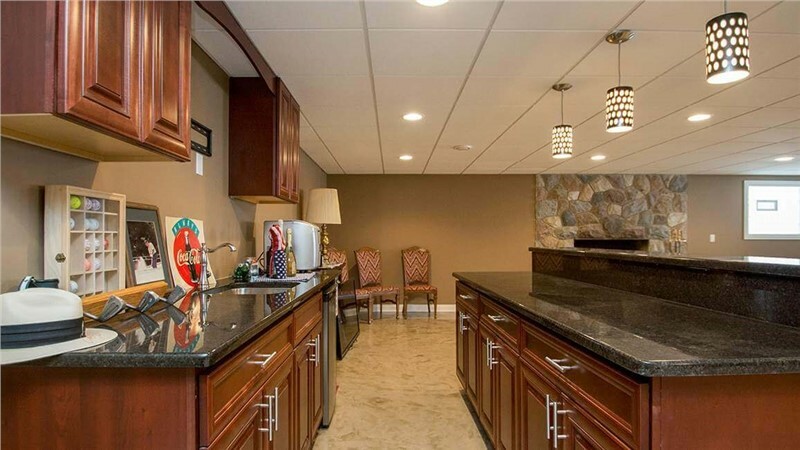 Transform your basement into the ultimate sports bar with a wall of fantastic cabinets in a rich, dark color, a barkeep sink, small refrigerator, long island, comfy bar stools, and a classic, cushiony corner "booth" with a table (a spot to enjoy a drink and snack when you don't feel like sitting on a bar stool). Strategic positioning of a large TV and an incredible sound system are key elements in creating an enjoyable bar. Proudly display jerseys, baseball caps, and football helmets from your favorite teams, and shop online for unique vintage sports decorations. 3. 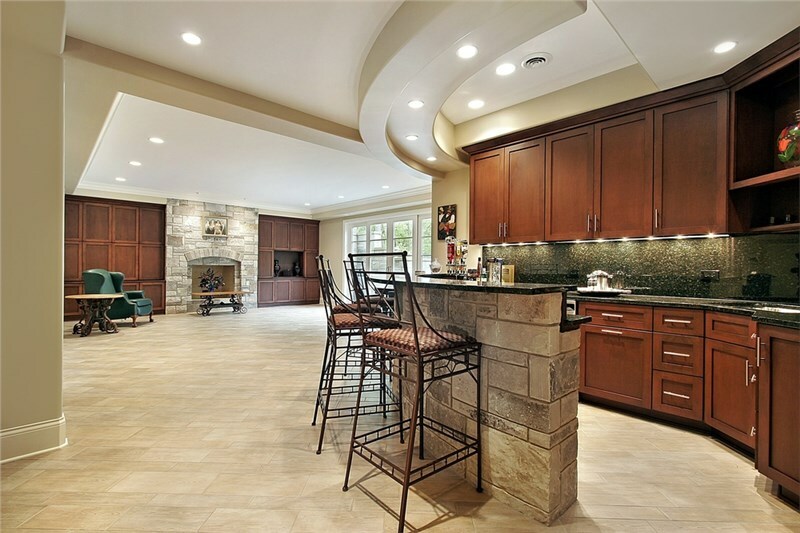 Grand Game Room. 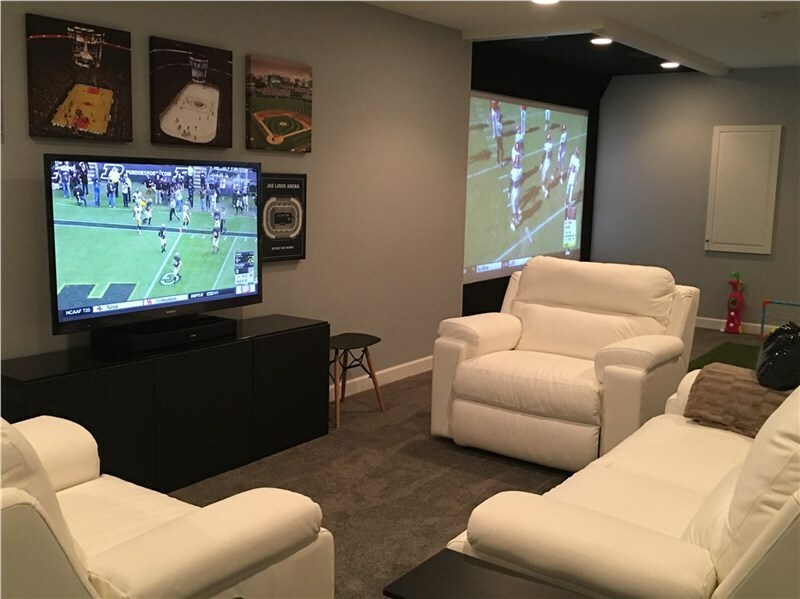 If you have a large basement space, you can create an awesome game room that is bursting with excitement. Think beyond a pool table and a spot for the kids to play board games (although these are both excellent components!) --create an arcade/fun zone that is sure to please kids and adults of all ages. Shop for vintage upright arcade games or cocktail game cabinets featuring classics like Pac-Man and Donkey Kong. Create a spot for modern video games in a cozy corner with a TV, game systems, and oversized armchairs. Keep your large games in the center of the room--foosball, pool, and table tennis require lots of movement that will be impeded too close to a wall. Add a built-in shelf near a small table for a fantastic board game spot. Add to the room's fun atmosphere with brightly colored area rugs, funky lighting fixtures, fun accents featuring classic video game characters, and a snack area with a mini fridge. 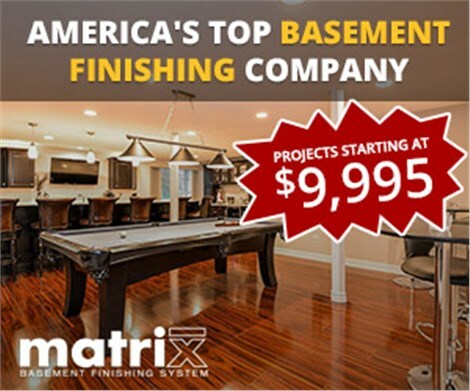 Finishing your basement is a wonderful opportunity to create a space in your home that is unique, fun, and shows off your personality. Please feel free to contact us to learn more about our DIY packages.